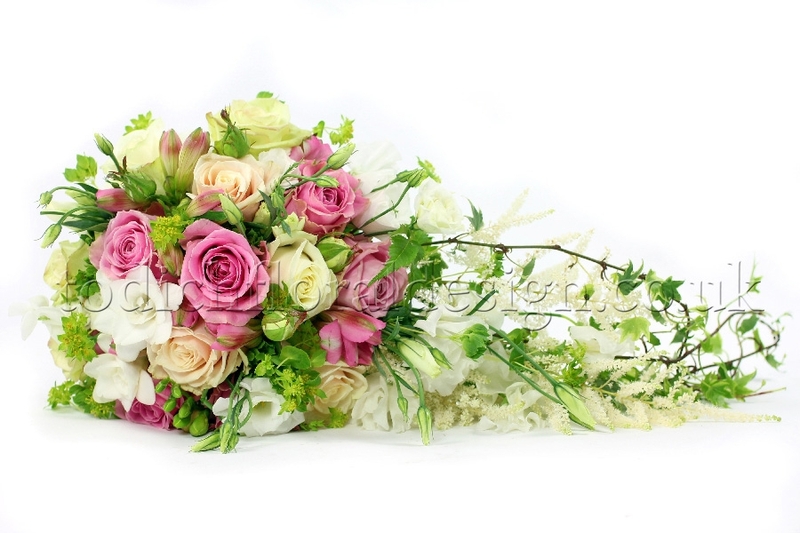 Every bride planning her big day wants to know how much do wedding flowers cost. It's a difficult question to answer absolutely, as of course you can spend as much or as little as you feel like. 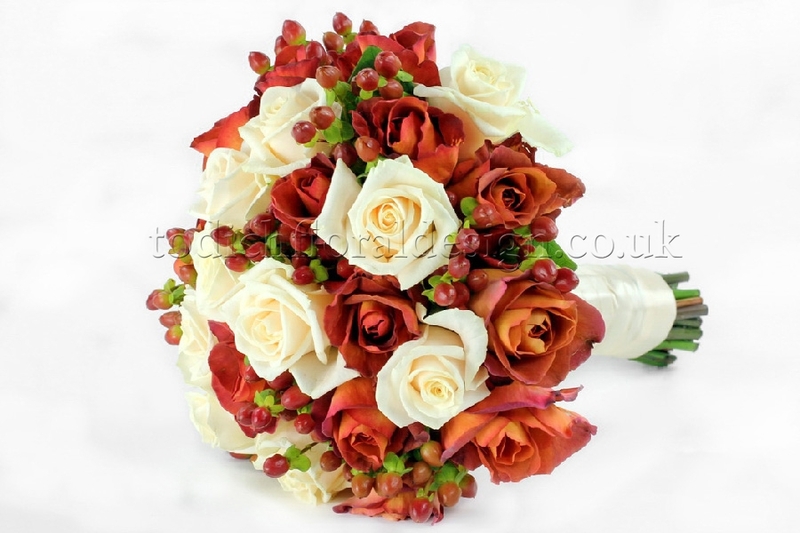 The three main areas of expenditure are Personal Flowers, Reception Flowers and Wedding Ceremony flowers. 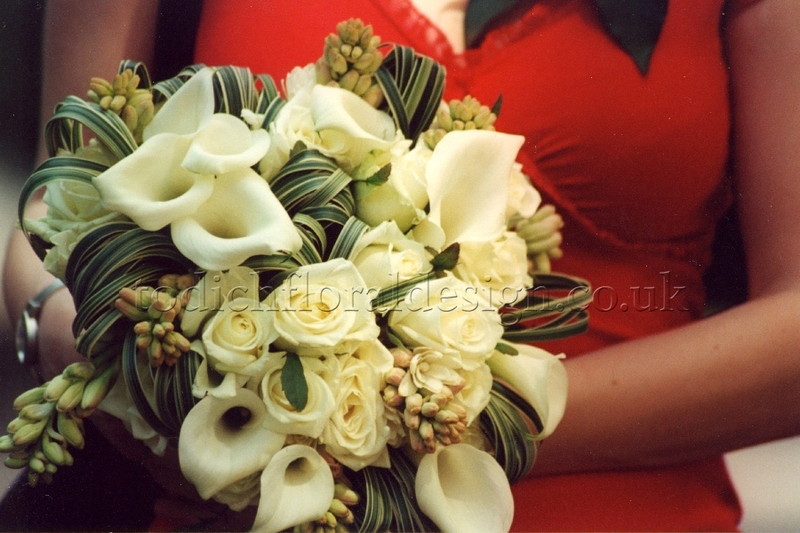 The bride's bouquet, and possibly a spare bouquet to throw - around £75 plus £25 for throwaway. 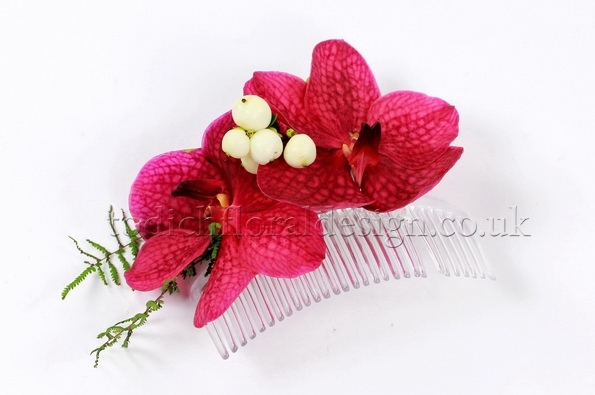 Corsages for the Mothers of the bride and groom, perhaps other close female relatives or friends: around £10.50 each but use of expensive orchids, etc. could increase this. 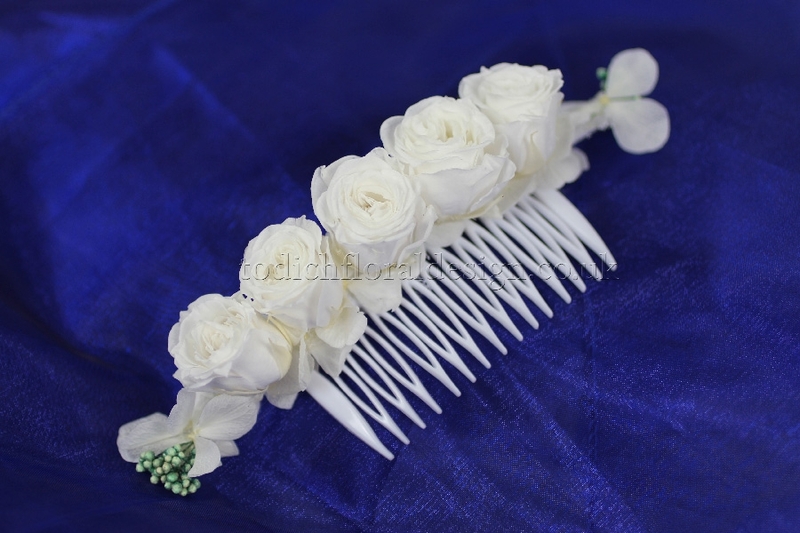 There are also various additional decorations that could add to your wedding flowers' cost, such as scattered rose petal confetti at the reception, hair decorations for bride and bridesmaids, wall or pillar garlanding. 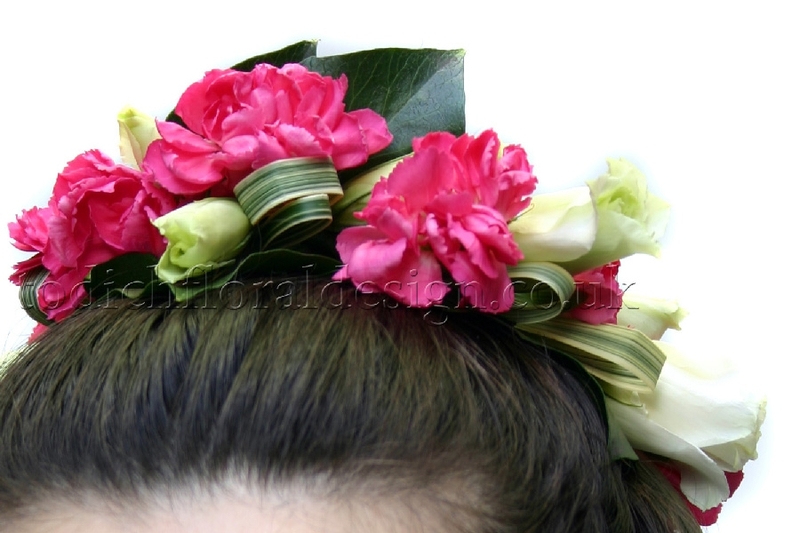 Ethnic weddings of various cultures each have their own set of must-have flowers from Chuppah decoration in the synagogue to Hindu wedding garlands, which can make it difficult to easily estimate your wedding flower costs. 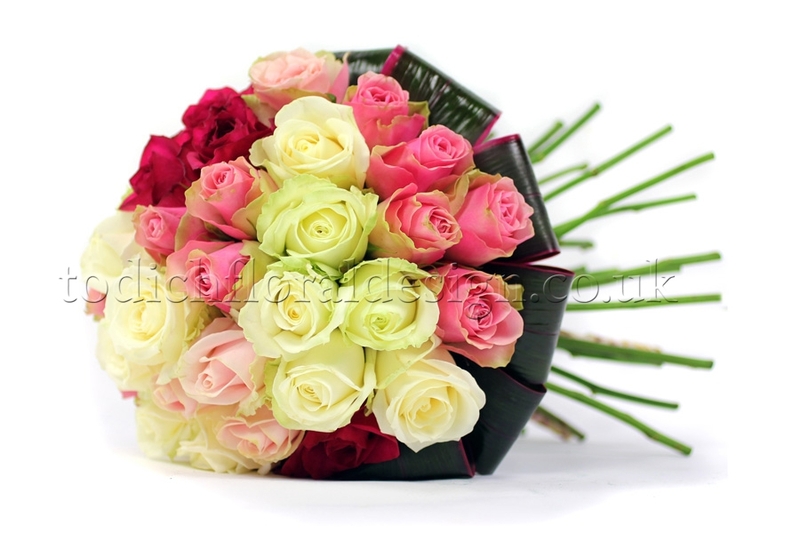 Choice of flower type can also make a big difference to cost. 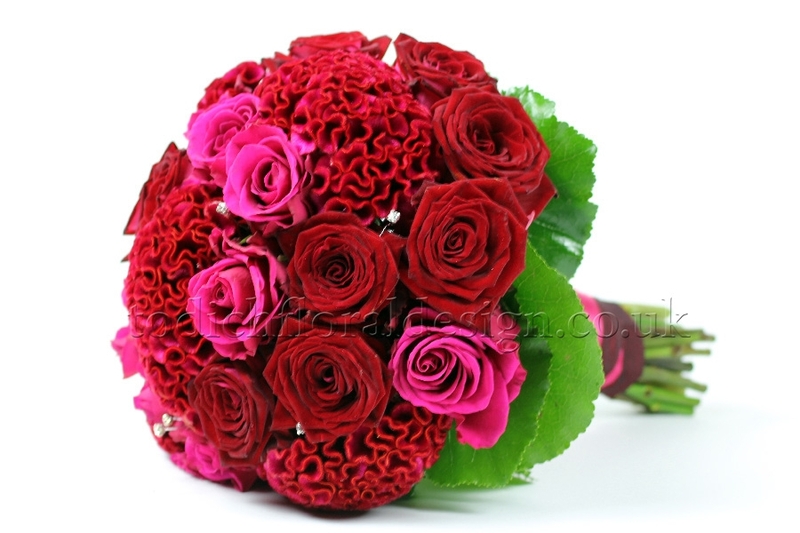 In order of cost per stem: Ranuculus, Gerbera, Lisianthus, Rose, Lily, Hydrangea. However one stem of hydrangea will fill space that would take several roses so it may work out as helping to lower your wedding flower costs. 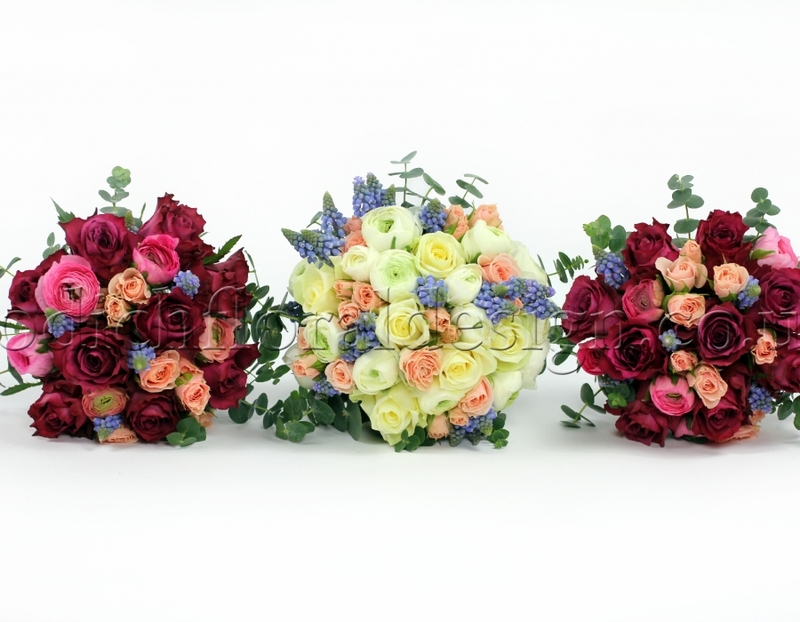 As a rough guide to add up your wedding flower prices for each element that you feel that you would like at your wedding Todich Floral Design have a Wedding Flowers Budget Planner. 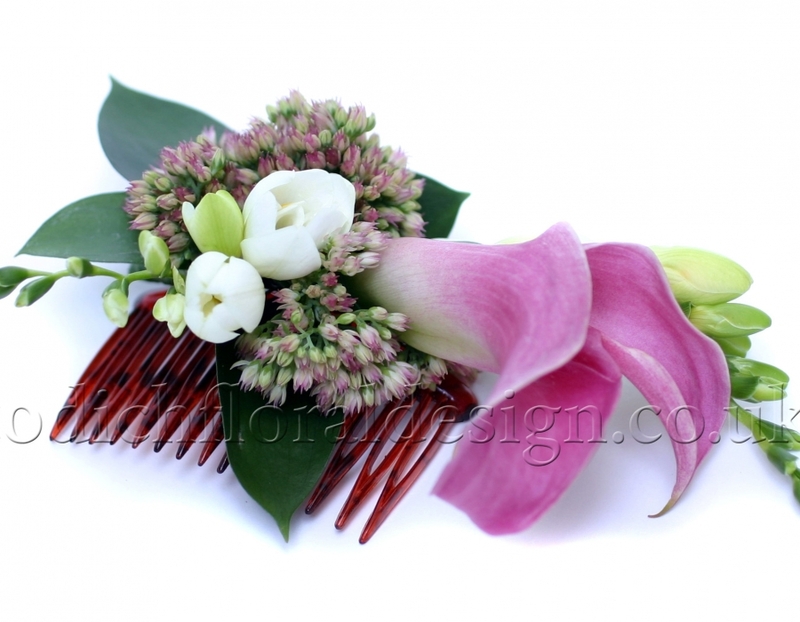 Creative Floral Arrangements And Designing Wedding Flowers You’ll Love, On A Budget!! 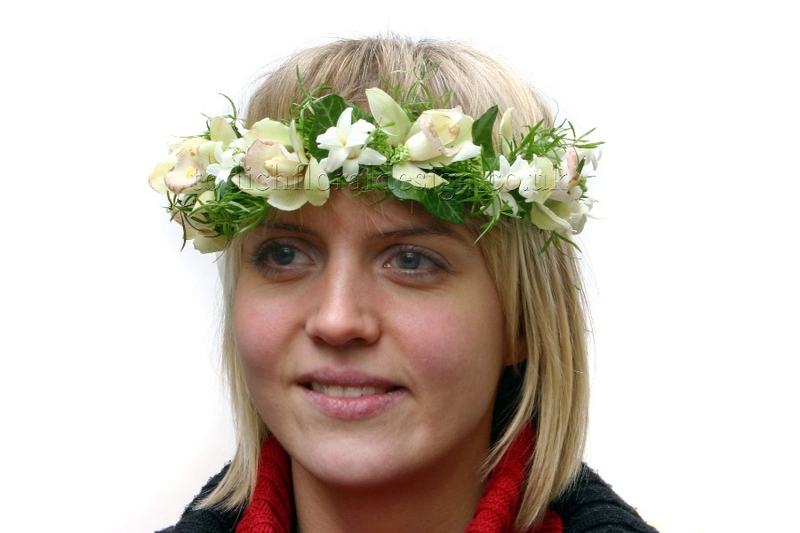 Worried about wedding flowers on a budget? Then this just might be your dream (wedding) come true. Because finding affordable wedding flowers is not impossible! Not by any means. It just means that you have to invest a little time and thought. Keep in mind that you might want to save yourself some time and hassle with a wedding flower price guide--but don’t stop there! Keep reading to find out more about what ways you can get the most for your money and be brimming with joy on your special day. 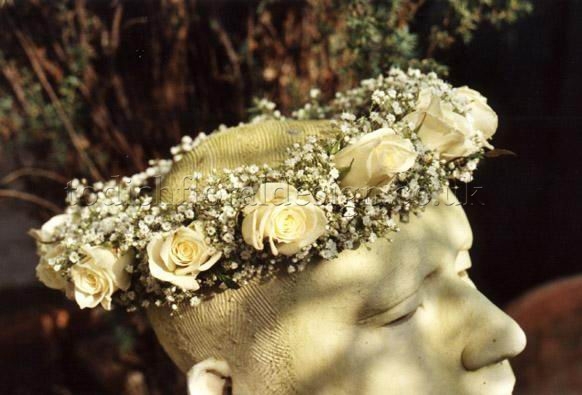 Speaking with a premier wedding florist always helps flush out your ideas. And at the very least you will find out what’s out there, while at the same time gain a sense for the general pricing of wedding flowers and how arrangements fit with your existing ideas. 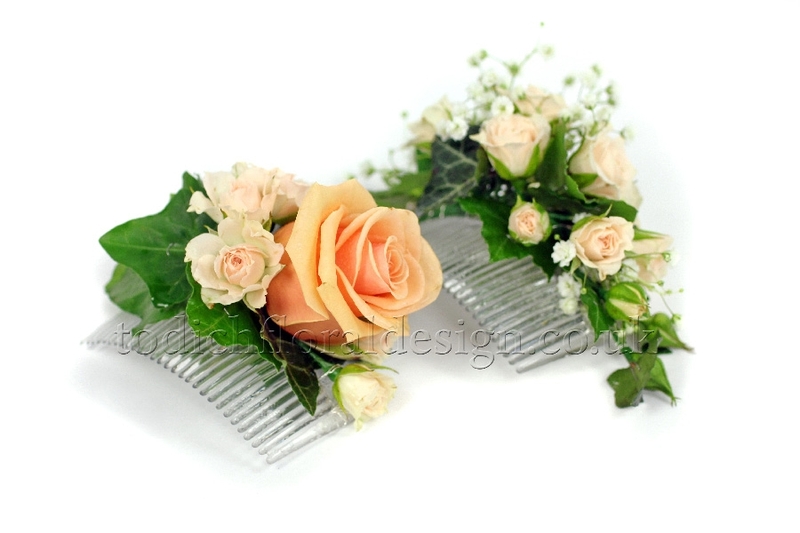 Before long you are able to realise that a beautiful, inexpensive wedding is within reach. We’ve seen it happen with so many of the happy couples we work with, and many of them actually come asking about how much to spend on flowers for a wedding. So then why do many couples think that wedding planning is the end of their savings? One straightforward answer is that they have yet to cast their eyes on a 2017 wedding flower price guide, which is a great way to organise the types of floral displays and arrangements you want for your wedding. Then you can understand the ways in which you might reduce the cost. Still, it is admittedly tough to figure out how much to spend on flowers for a wedding, even if you are equipped with useful wedding tips and the guidance of an experienced wedding florist. It can be really stressful! Especially with so many designs competing for your attention: extravagant centrepieces, overly abundant and lavish bridal bouquets, then the matching bridesmaid flowers and other floral arrangements...what you’re seeing flash before you online and in social media can certainly provide inspiration, but it can also quite easily become a source of worry and concern: will I have enough money to plan the wedding that I want? From the start, as you and your partner sit down with us you will receive this and more in a free premium wedding flowers consultation with our leading florists and design team members at Todich Floral Design. 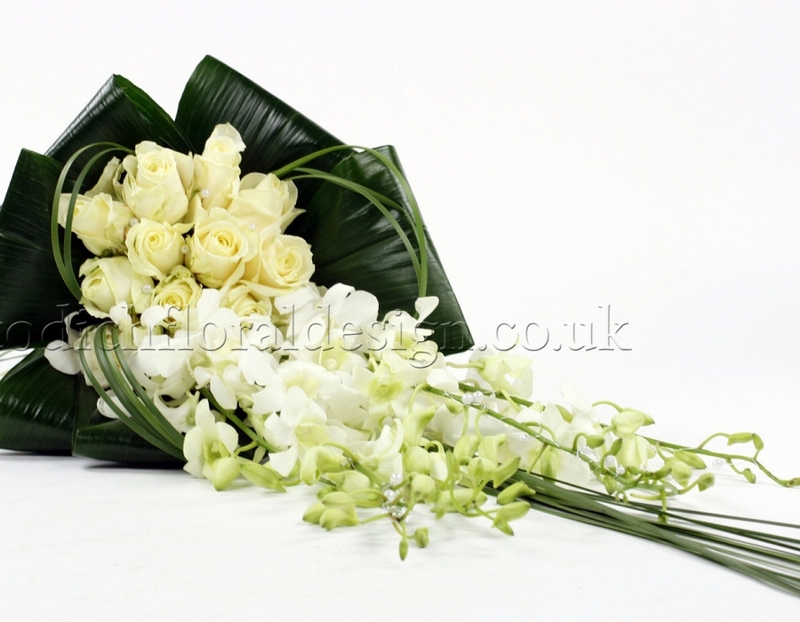 Luxury London wedding flowers delivery you can count on. When? Whenever. On weekends and any day of the week, as well as event flowers delivery in the UK to your venue, reception hall or ceremony location. Expertise and flower prices you can trust. 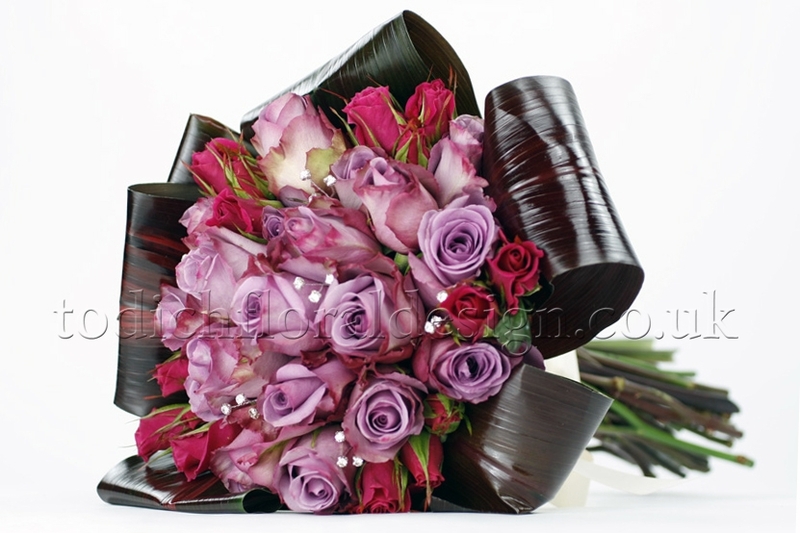 Experience award-winning customer service from London’s top wedding florist. 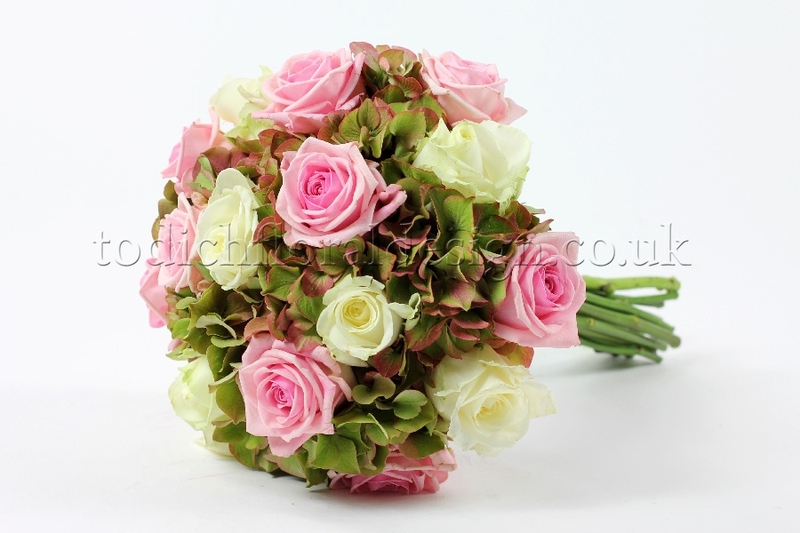 Our experts delight in providing wedding flower price guides for couples who want wedding flowers on a budget. Count on Todich Floral Design to completely set up your wedding decorations, fully install your floral arrangements, and treat you to professional wedding planning and guidance. Scared off by prices you’ve seen so far? 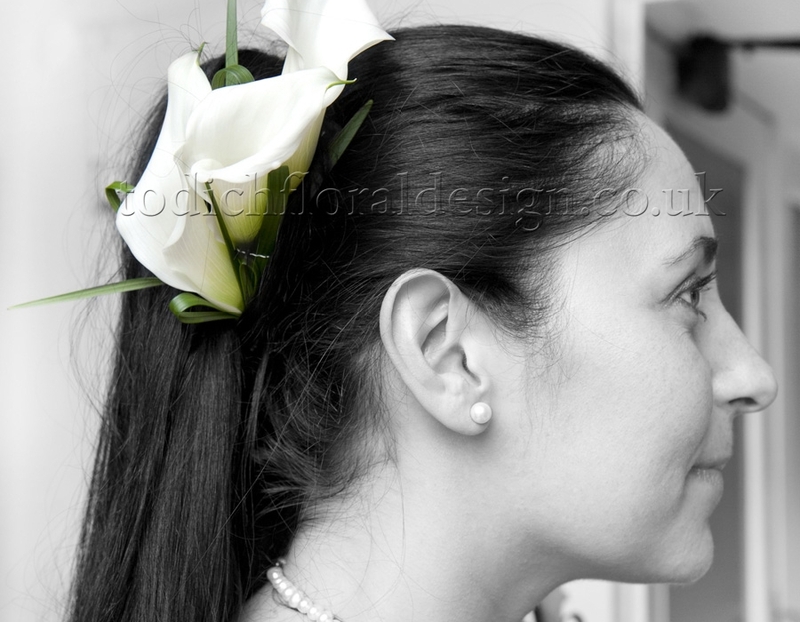 Try church wedding flowers without London prices, but at prices you and your partner can afford, as well as synagogue flowers and floral decorations for mosques. You will find wedding flowers for all faiths and backgrounds, too, no matter what culture you come from, as well as reception themes and ceremony decor for non-religious couples. A virtually inexhaustible and oh-so-exciting array of floral decorations, different types of wedding vases to rent, unique wedding decor and stylish additions to match your theme and complement your centrepieces and table arrangements. Choosing your wedding venue. With 20 years in the business of wedding flowers and planning we have been able to work with London’s most popular wedding venues. We are lucky to have worked with such fabulous and accomplished players in the hospitality industry, in service of celebrating love and matrimony! Some of our past receptions and favourite hotel wedding venues include the Dorchester Hotel, Mandarin Oriental, as well as The National Portrait Gallery. 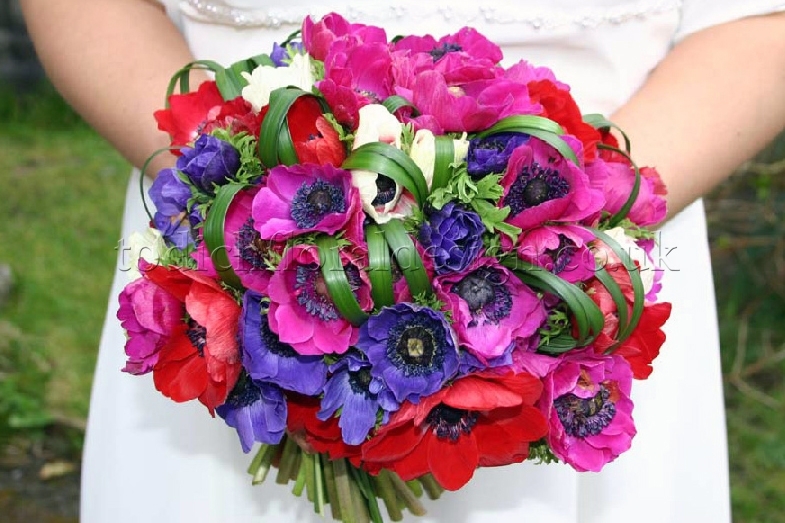 Inquire by email or call us to discuss the best wedding venue in London for you--for your wedding day--and one of our florists, planners or team members will gladly assist you and answer any other wedding design related questions you may have. It is easy for costs to get out of hand or find prices adding up as you plan your wedding. Writing it down on paper can help, but seeing that total figure on your bill can be a shocker. Before the wedding planning process becomes all too overwhelming, how do you keep the cost of your flowers from ballooning in the first place? Luckily for you, it is okay to now relax and feel confident in a wedding florist with experience, a florist you can rely on and trust. 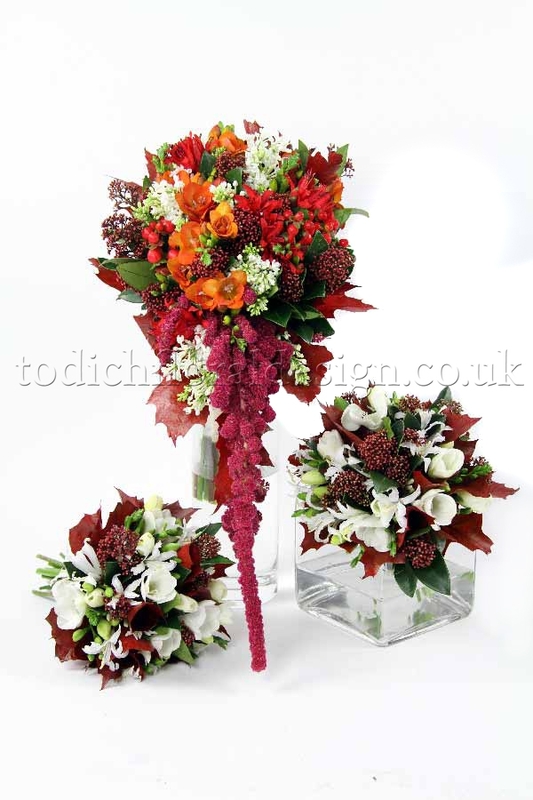 At Todich Floral Design our expert designers and floral artists have extensive hands-on experience. We practice the art of floral design and bring a depth of knowledge and artistry when it comes to wedding decor, flower design, on site setup at your wedding venue, and flower installation. And of course lay out a plan for wedding flowers on a budget to couples interested in more affordable wedding decorations, styles and themes. We are able to assist you with your wedding planning from the very beginning. In nearly twenty years of providing wedding flowers for London couples and happy pairs throughout the UK, Todich Floral Design has won multiple awards and featured wedding flowers in London's best venues: from boutique hotels and more intimate receptions, to the most glamorous of VIP affairs hosted at grand ballrooms, held in large hotels and contemporary, cutting-edge event space. 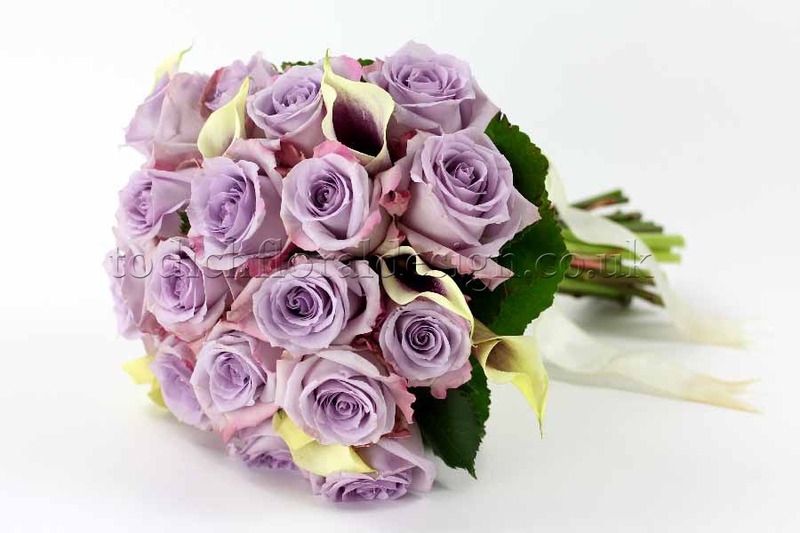 At the end of the day, how much will you spend on flowers for your wedding? Each couple is different, of course, and all of the brides and grooms that we have worked with over the years have their own ideas, unique preferences, likes and dislikes, and notions of what the ‘ideal wedding’ looks like. This kind of individuality and an overabundance of flower options is what can make wedding planning such a complicated process. But let’s tackle the big question head-on--the question of overall wedding cost and pricing that is so often on our minds. 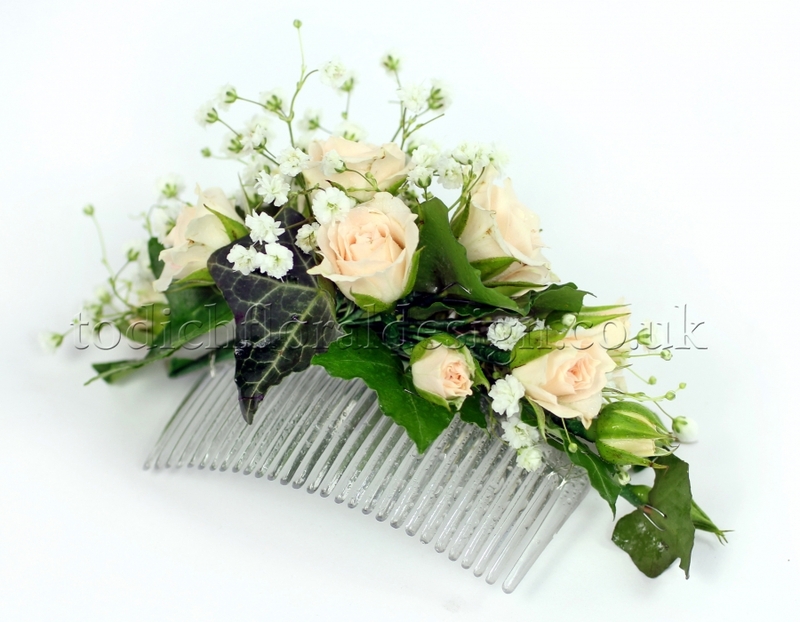 Wedding flowers in London and pricing of decor and different bouquet styles can quickly get out of hand, but there are ways for you to plan and create an inexpensive wedding without feeling that you have sacrificed the beauty and special aspects of your wedding day. In other words, cheap wedding flowers don't automatically mean that you are stuck with a cheap look for the flowers in your bouquet. Quite the contrary! You can end up buying flower alternatives and substitutes that will leave no one the wiser, and certainly leave more for you and your hubby to enjoy for the honeymoon or that first ever holiday you two plan to take together. So after he or she pops the question, you don’t have to get hung up on that other question, the one that you are not as excited about (how much should I really spend for flowers at my wedding?). While it’s true that there is no avoiding it, and it’s better to raise those serious matters sooner rather than later, some flowers are surprisingly affordable for weddings. 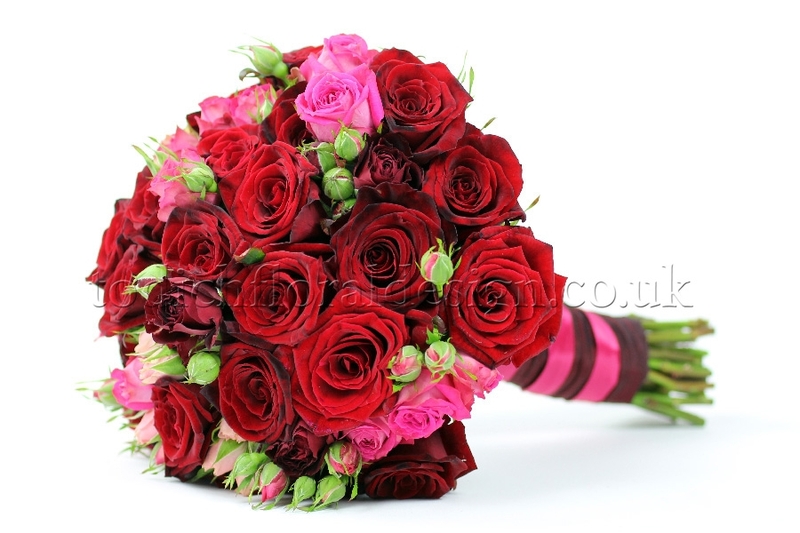 Roses, for example, as popular a wedding flower as they are, are not in the upper tier when it comes to price range. 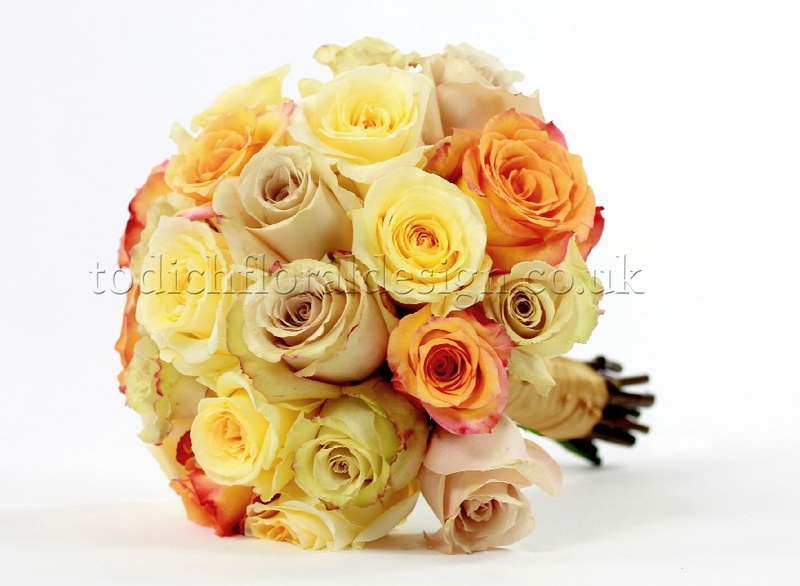 Bridal bouquet for Londoners are full of roses, and many couples trying to settle on wedding flowers on a budget might choose these beauties in place of their pricier cousins, the ever lovely and a bit more expensive peonies. 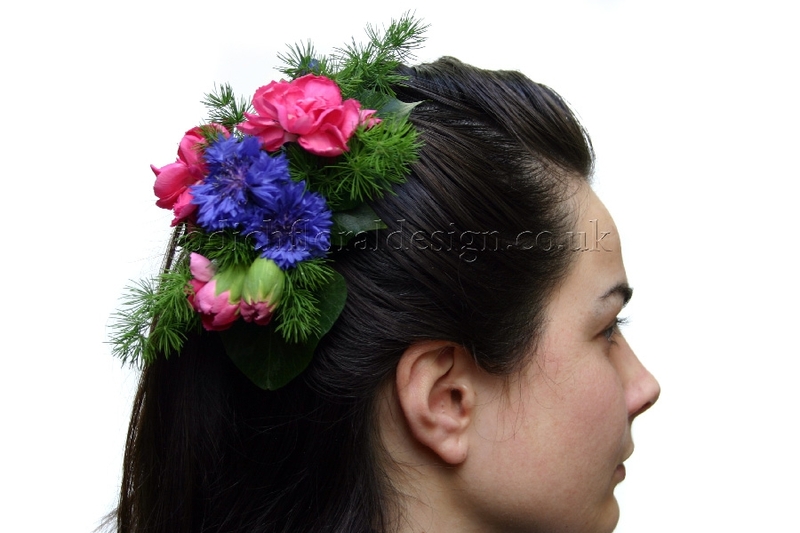 Finding the right wedding flowers in London can require a lot of energy on your part. 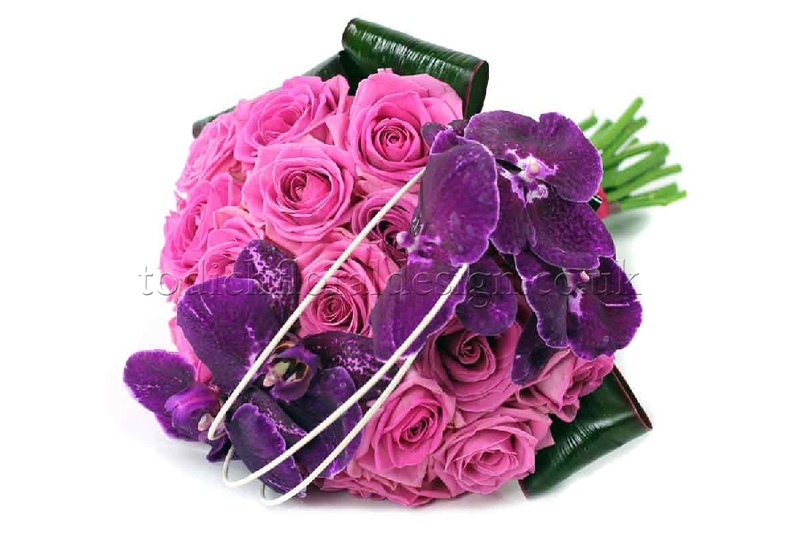 When it comes to making decisions, planning and coordinating, and then communicating with your sweetheart, a top wedding florist to help sift through all those ideas and price tags can help. With so many flower trends, decorative styles and wedding themes to choose from, you have a lot of options when it comes to combination of wedding flowers. This is one of the secrets--looking at reception flowers, ceremony flowers and personal flowers. By dividing your wedding flowers up into categories and sections, you can actually help yourself to better plan for wedding flowers on a budget. It also keeps the mind clear and organised! Then the ideas practically begin to overflow, and no one--neither you nor your partner--will find yourselves overwhelmed. 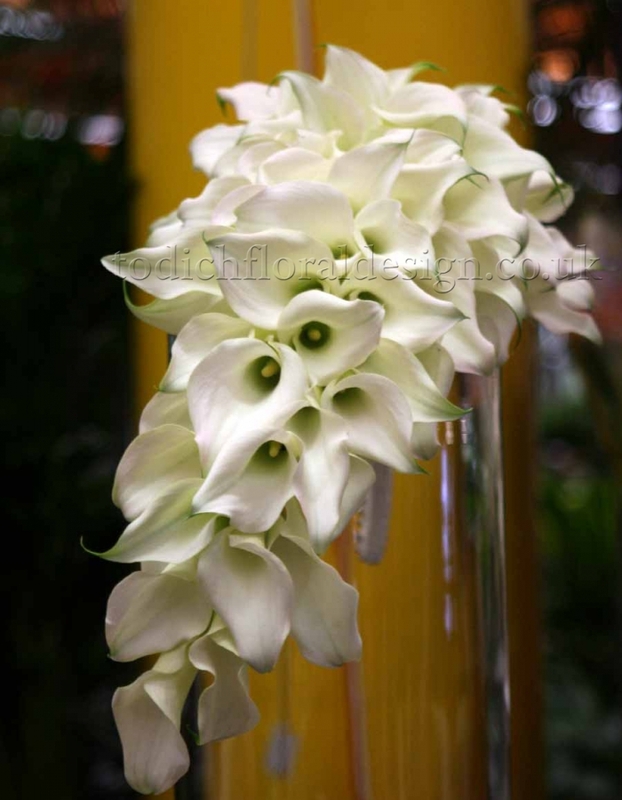 That’s the beauty of flowers and our wedding design process at Todich Floral Design! 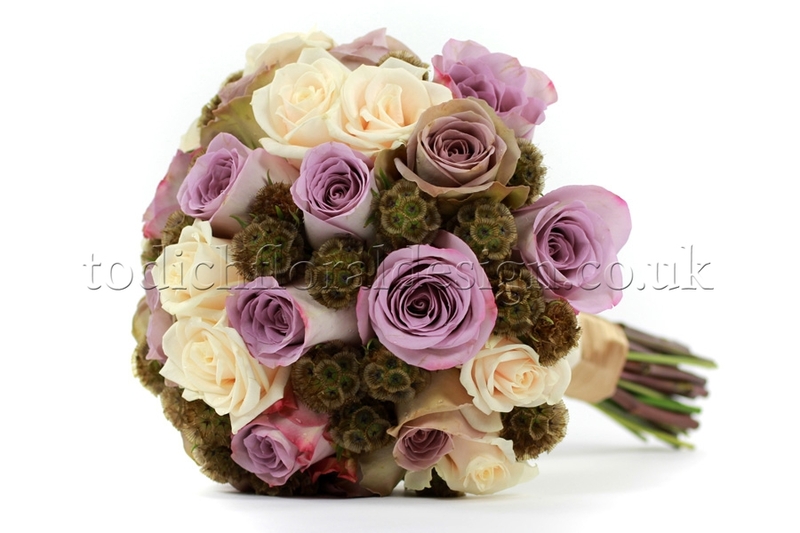 Bridal bouquets by London wedding florist Todich Floral Design make your wedding flowers affordable, beautiful. You will be able to dazzle guests, family members and friends...not mention yourself when it comes to style, colour and the latest floral designs! 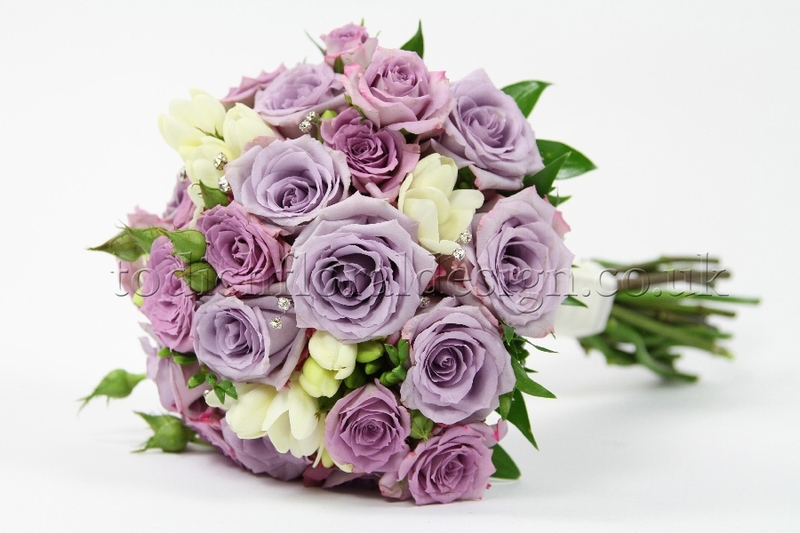 What good is a wedding flower price guide going to do? At first it may seem like a silly or obvious question to ask--but there is really more to making smart flower choices and budgeting your wedding than simply going for what is the cheapest wedding flowers option out there. Wedding flowers on a budget will require a strategy. Going in with a plan for what you like and what your partner's preferences are always helps, but there is certainly a better way to organise your wedding. 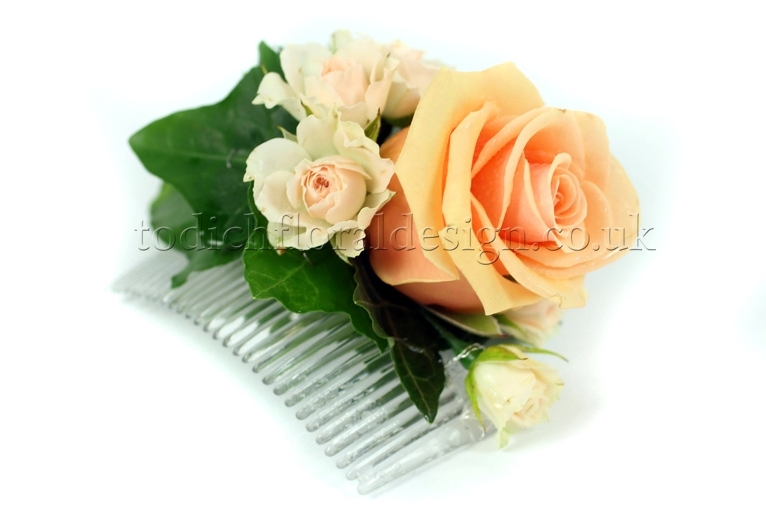 Having your dream wedding flowers in London laid out, clear in your mind beforehand helps make it a reality. Knowing what you want and being aware of what you are spending will keep you from paying too much, whether that means buying flowers at prices which are too high or spending more than you had intended in the first place. You're excited, that is totally understandable. And you should be! It is easy to get swept up in the fun and fervour that surround wedding planning. But finding wedding flowers on a budget means taking the time to talk through your big dreams, what you are envisioning. This includes all of the tiny details, and even the subtle touches, from buttonholes and corsages, to the more obvious bridal bouquet and cake table flowers or arrangements that make up your centrepieces. Wedding flower price guide and tips for brides: what should you expect in terms of flower costs? Though the flowers market and season are the biggest determinants of flower availability, and therefore prices, using your florist as a wedding flowers price guide isn’t a bad approach to take. Still, you might see reception flowers in the range of £45 (cake tables) to £80 (standard table tops), or even as low as £20 (centres). 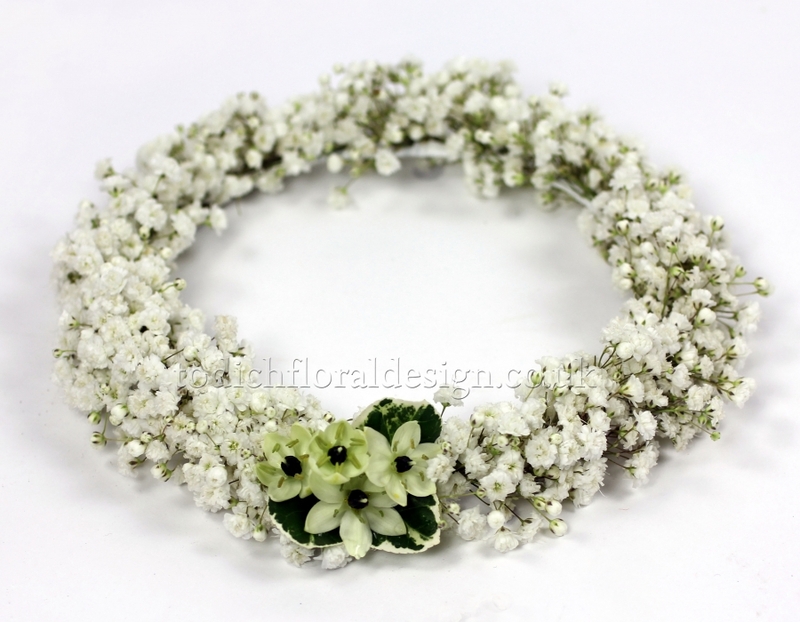 Ceremony flowers--for pews, archway decorations and the altar--can have a similar price range. In the end, even if you’re trying for an affordable wedding, settle for nothing less than the best blossoms. 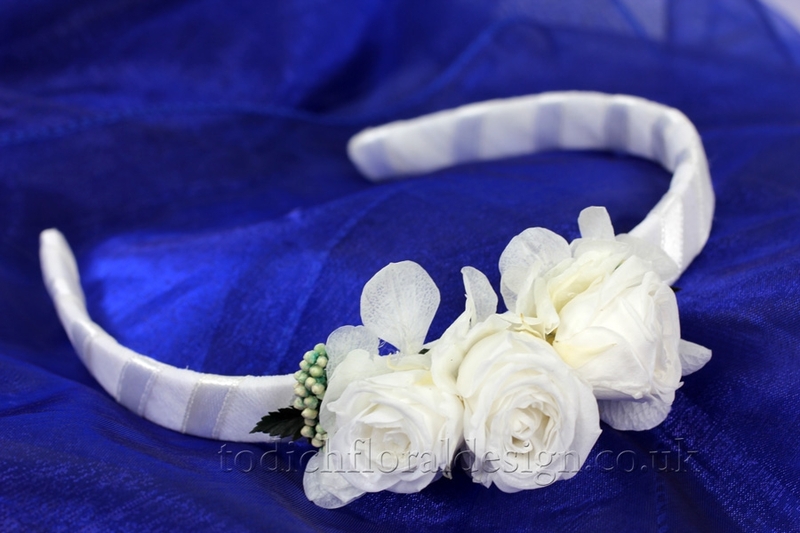 Choose your ideal colour palette, customised styles and wedding themes on budget and love it. Because this is the day you’ve been waiting for, isn’t it? 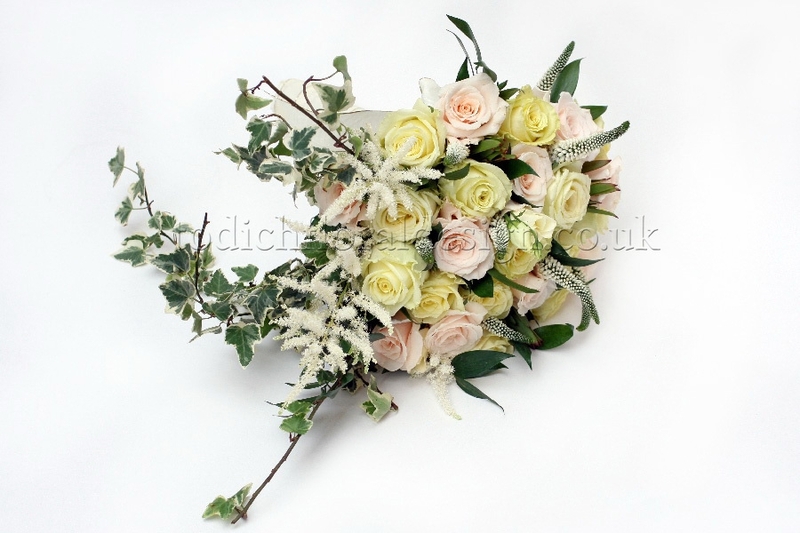 Contact us today at Todich Floral Design to make it the wedding you’ve always dreamt of!